Interview when applying for a job for most people is quite difficult, because there is excitement, fear of failure and the fear to show itself not with the best hand. If you want to get a job in a branch of such organizations as Sberbank of Russia, you need to prepare carefully, as candidates for the one vacant place can be quite a lot. The interview is usually preceded by a telephone conversation, during which you desired to find out not only the availability of a vacancy and address of the organization and the time when you should come, but also requirements to the candidates. Also, try to clarify all the points related to working conditions, so you will be able to determine in advance suitable for you or not. Clothing should be classic in style, because when you work in a Bank you always have to follow a dress code in the style business. Try to avoid flashy accessories and bright colors in cosmetics, you have to look neat and modest. Of jewelry a girl can dwell on small gold earrings and chain with pendant, male it is advisable to choose a watch to impress punctual person. The interview is in any case can't be late. In addition, you need to turn off your cellular phone so it rang in the middle of a conversation. Bring the documents describing you as a professional with the relevant level jobs: this can be a diploma, certificate of completion, employment history, recommendations from past jobs. 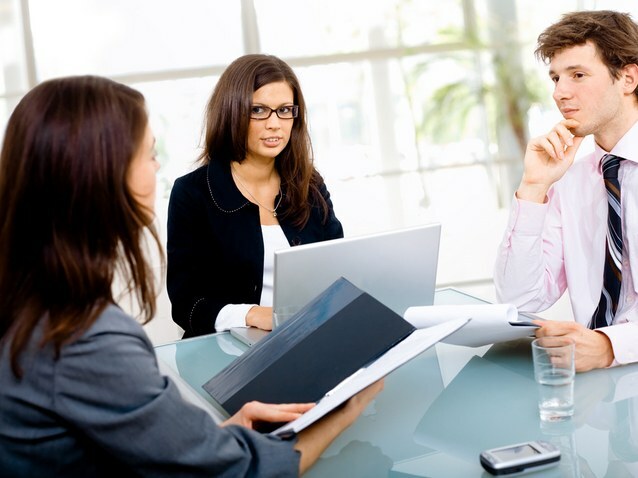 Think carefully about the answers to the most frequently asked interviewing questions. Especially employers are concerned about where and by whom you have previously worked, the dismissal reason why you want to work in Bank what are the business skills they find most important, why you think you are a suitable candidate for this position. Prepare for the fact that you may have to fill out a form to pass specific tests or complete assignments. Evaluation of your professional qualities – a prerequisite for the adoption to work in a branch of Sberbank of Russia. The Bank's security service will check you and your relatives, and in some cases even interviewing friends and neighbors. If you are native, serving time for robbery or theft, or Vice versa, working in senior positions in other banks, it is likely you will be denied.